I wanted to update because there are only 3 days left in the year. Crazy, isn’t it? And I have read 99 of my desired 100 books for the year, which means I have a little leeway on finishing whichever one I choose. I am currently reading 3, plus an audiobook that I have in my car so I think I will make it. Perhaps I will even finish more than one! What books do you want to finish before 2015 begins? 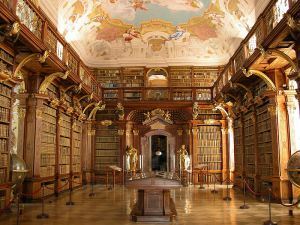 How about some truly amazing pictures of bookshelves? 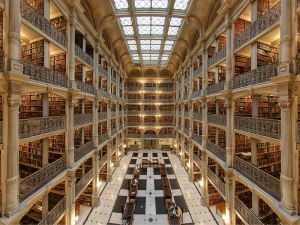 What follows are ten of our favourite photographs of the beautiful interiors of libraries from around the world. These pictures of books and bookshelves are a dream for every bibliophile. What’s more, these images are all in the public domain or labelled for sharing – click on the hyperlink to take you to the source for each picture. You can also enlarge each picture by clicking on it. 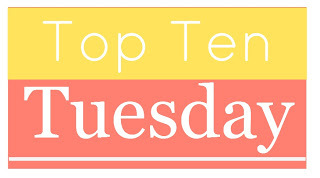 I have one more final to finish before I’m officially done for the semester but I couldn’t resist taking a few minutes to publish this week’s Top Ten Tuesday considering how awesome it is! I’m a bit of a series addict so I will list those after the titles if it isn’t the first book. 1) The Secret Diary of Lizzie Bennet by Kate Rorick – I stumbled across a series of YouTube videos that led me to this fantastic book. It’s basically a modern day Bennet family, except with only three daughters. The videos portray typical Bennet family life, which is quickly interrupted by crazy Mrs. Bennet and the arrival of yes, Mr. Bingley. 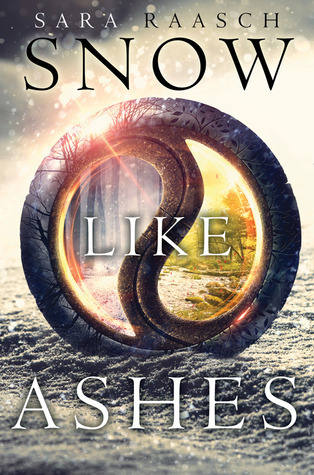 2) Snow Like Ashes by Sara Raasch – I cannot stress this book anymore than I already have. It is amazing. You need to read it. It has action and adventure, heartbreak and loss, secrets and lies, all wrapped up into another world that will make you want to move there immediately…you know if there wasn’t a war happening. 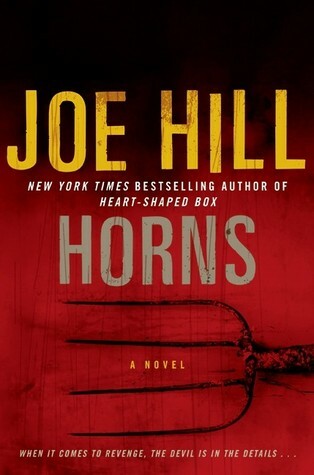 3) Horns by Joe Hill – Yes, it was a book before it was a movie with Daniel Radcliffe. And while it might seem a bit slow at the beginning, the story and the monologues are incredible. Once Iggy embraces his fate, you cannot look away. Hard to put down and will have you smirking right along with him. 4) The Eye of Minds and The Rule of Thoughts (The Mortality Doctrine series) by James Dashner – Even if you’d read The Maze Runner and are totally sick of it, let Dashner take you to a whole new, brave, world. In the future, there are so many places to visit and you never even have to leave your own home. Virtual reality is the hot commodity, that is until that very way of life is threatened. 5) Ready Player One by Ernest Cline – Another futuristic book that pulled me in and kept me entertained was this amazing feat of fiction. It is thrilling and terrifying as you’re sure that any moment death will come. There is a puzzle and a prize and Wade thinks he is the one who can finally obtain it. And maybe, just maybe, with the help of his friends, he can. 6) Good to Great by Jim Collins – This was a book I was required to read for school but that doesn’t make it any less valuable or interesting. It’s about business, and creating a successful organization, but it can be applicable in dozens of other situations as well. How to build a successful team and maintain a well-functioning way of life. Absolutely fantastic. I read it twice. 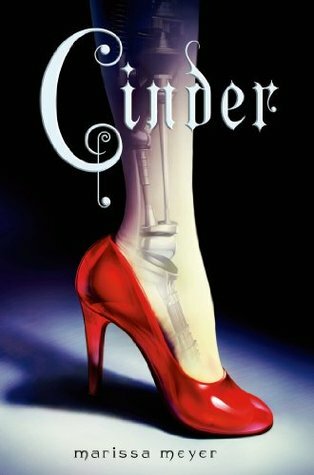 7) Cinder, Scarlet, and Cress (The Lunar Chronicles series) by Marissa Meyer – Because who doesn’t want to read about what the future of our planet might be…and not just from the United States perspective. So many books focus on this part of this world but this series has a global initiative, combined with plague and cyborgs, that will make turning pages seem like nothing. It is heart-pounding and emotional, filled with trauma and love and fear. Fairy tales with a twist is how The Lunar Chronicles is advertized but it’s really so much more than that. 8) Ripper by Stefan Petrucha – Old world history comes to life by interweaving it with a personal story that is often so intense that I had to look away. Petrucha imagines the what-ifs and brings them to life on the page with a heart-stopping twist. Jack the Ripper is lose and a kid might be the only one who can find out where he is. 9) Holidays on Ice by David Sedaris – If you need a laugh or a pick-me-up, then anything by Sedaris will do. He is witty and poignant with a style that paints hysterical and cringe-worthy images in your mind. This is a collection of short holiday time stories that had me in stitches every time I picked it up. 10) The Young Elites by Marie Lu – Dark and dangerous, this series takes Lu’s writing to an entirely new level. It explores what it means to be bad in a whole new way. Is evil made or is it born? It’s a question I often ask and one that is becoming more and more popular. If you read Legend and appreciated the character of Day, then come meet Adelina and see how she makes you feel, makes you think, makes you wonder. 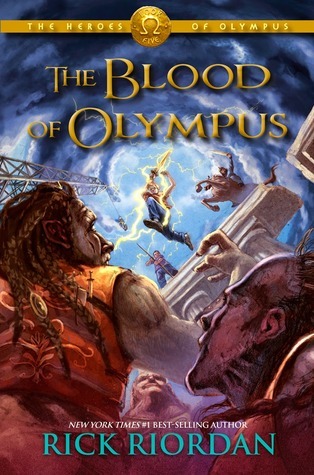 11) The Blood of Olympus (The Heroes of Olympus series) by Rick Riordan – I know I just did a review of this book but it definitely merits being mentioned again. Riordan is one of my favorite authors, hands down. His stories are art that I could (and have) devour for hours on end. This is the final installment in a series that has so many complex characters and complicated friendships, all while fighting the end of the world, that it was hard to put down. Even to study. 12) Etiquette & Espionage and Waistcoats & Weaponry (Finishing School series) by Gail Carriger – What can I say about a character I have come to love this much? Sophronia is witty and clever and an obvious trouble-making due to her overabundance of curiosity. Which actually all come in handy when she is shipped off to a finishing school that makes young girls into ladies…ones that can be spies and assassins. All while maintain proper dress and decorum. 13) Doomed by Tracy Deebs – A modern day Pandora, literally, opens a gift that unleashes hell on earth. Or at least on all the computer systems of earth, leaving everything in chaos and life as she knows it in ruins. It’s hard to predict what will happen next as the young heroine attempts to undo her mistake, all while in the company of two delicious sounding young men. 14) Illusion (The Chronicles of Nick series) by Sherrilyn Kenyon – Nick Gautier is a smartass who doesn’t have a clue when he should keep his mouth shut. Often causing him to get into more trouble than is strictly necessary. And in this fifth book, Nick has become mired in a whole new set of consequences that no one else acknowledges. How can you change what is happening if no one else can see it coming? Absolutely brilliant. 15) Crown of Midnight (Throne of Glass series) by Sarah J. Maas – I enjoyed the first book in this series and the third as well but I think this one, the second, was the most powerful. Every page created new intensity and the hits jut kept on coming. The reveals never stopped and so much information is conveyed, it is well worth the read, even if the worst is yet to come. Vampires, werewolves, and other things that go bump in the night all come together in a steampunk novel set in late 19th century England, there is death and intrigue and lots of other fun things to keep you interested. Alexia Tarabotti is consistently finding herself in unladylike situations. She goes off to the library one night to have a cup of tea and avoid a particularly boring party and finds herself attacked by an unlicensed vampire. How rude! Luckily, she manages to save herself with the help of her trusty, custom-made brass parasol but it only serves to create a whole host of other issues. The first of which being the overbearing nature of a particularly delicious Alpha werewolf…who also happens to be in charge of an agency designated to deal with these sorts of supernatural issues. And what happens next only gets more interesting. There is a summons to the hive, the curiosity of seduction, the ridiculous natures of Miss Tarabotti’s family, and of course, trying to keep her own soulless nature from becoming public knowledge. This character reminds me heavily of Lizzie Bennet of Pride and Prejudice, with her best friend Ivy playing the role of the demure and caring Jane. Or maybe it’s more like Pride and Prejudice and Zombies, except with a different kind of undead enemy to contend with. Alexia is witty and dry with a tendency to talk far more than is safe for her to do so. She is a special breed of supernatural called a preternatural, which is a new concept to me, and one that I’m interested to read more about. I loved the descriptions of the clothing, as I always do with this type of book, and of course, all the beautiful or just fascinating to imagine men that fill the pages. From Lord Maccon to Lord Akeldama, there is no shortage of them. 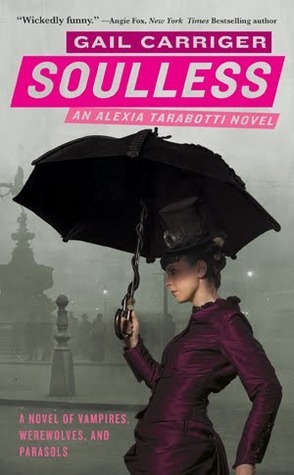 Most of the other women in the book are rather shallow and vapid, like Alexia’s mother and sisters, but much like Lizzie Bennet, the main character here creates a methodology for dealing with all of them. I enjoyed that the book had a solid ending, one that can lead to more but definitively closed this chapter. The problem may not have been fully solved, but the mystery certainly was, and now Alexia will have the opportunity to move on to something a little more interesting and I’m not just talking about Lord Maccon. Parts of it were a little slow and sometimes I found my mind wandering…or that could have just been my intense interest in the developing and complex relationship between Alexia and Lord Maccon. While I personally think I like the Finishing School series better, Carriger is a delightful story teller, leaving room for imagination while creatively explaining the background for the more complicated plot points, such as vampire etiquette. Not to mention that steampunk is a lot of fun to read about, especially when mixed with history and the real names of people who quite possibly would have been involved if this was nonfiction. If you haven’t read anything by Riordan yet at this point in your life, you are seriously missing out. His books might be touted as being for middle schoolers but really they can be read by anyone, which is part of what makes them so fantastic. In this final installment of the second series concerning our most beloved Percy Jackson but involving far more main characters, the world is once again in danger of falling prey to an ancient evil. Luckily, Percy, Jason, and the crew of Argo II are prepared, or mostly prepared, for what will happen. However, nothing is ever certain or even that predictable when it comes to dealing with the gods and goddesses of Olympus, especially when they can’t remember if they are Greek or Roman. Without giving too much away, let me just say that this is fun and grueling action-adventure book with feats of daring, traps you’re not sure the heroes will escape, love, friendship, and sacrifice. With the future bearing down like a freight train, it is more important than ever for the demigods to work together. Whether or not they can do still remains to be seen, even in this final book. Unfortunately, you can’t start with this book if you want to have a full grasp on what it really happening. First, you must begin with Percy Jackson and the Olympians: The Lightning Thief which introduces you to the world and its wide array of characters and settings. After that series (just 5 books! ), you can start this one, called the Heroes of Olympus which begins with The Lost Hero, introducing you to Jason and a whole other side to the demigod world. But overall, I think this was a basically perfect ending to the series, never an easy thing to accomplish. But Riordan manages to pull it off, tie up enough loose ends to satisfy but still keep you wondering (and hoping to find out) what will happen in the future. This week is December 9: Top Ten New-To-Me Authors I Read In 2014 and what a VERY exciting topic this is!! Gail Carriger – I am so in love with her writing and her characters, it’s late 19th century England with an irresistible steampunk twist. Her series Finishing School and the Parasol Protectorate are both wonderful to read, especially if you like to meld history with your fantasy. 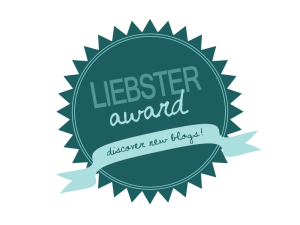 Nancy Martin – For awhile there, all I was reading was the Blackbird Sisters Mysteries. Catchy and poignant, humorous and murderous, what’s not to love? There is high society gone wrong and a family on the edge of total annihilation, in the fiscal sense, all told by a witty narrator. Tracy Deebs – I’ve only read one book from her, the series she is known for doesn’t really interested me, but DOOMED is worth reading. It’s the actual end of the world, not post-apocalyptic which totally sucked me in and had me on edge for days. Definitely look into her work. Stefan Petrucha – Wow, just wow. One book and I am totally hooked. Ripper was an amazing story that led me through history and murder and intrigue, it wound fact and fiction so closely together that I could almost believe everything was true. It was hard to tear myself away, can’t wait to see what else he does. Joe Hill – I know I’m about to ruin everything but for those of you who don’t know, Hill is the son of the infamous Stephen King and his style is just as dark and interesting as his father’s. I’ve only read Horns so far but I’m hoping to pick up more of his books since I couldn’t put the first one down. Jonathan Stroud – Apparently I’ve been missing out on this author for reads. I stumbled into the Lockwood & Co series while shelf browsing and was terrified and in love with the story I read. It’s a little scary, a little swashbuckling, and a lot of fun. Bright characters armed with wits and swords, getting into trouble and hunting ghosts. Um, yes please! Sarah J. Maas – Throne of Glass has pretty much taken over my life in the last two months. Witty and sharp-edged, there is struggle and heartbreak, magic, mayhem, and sword-fighting. I enjoy all the characters, especially picturing the men shirtless, and the series just keeps getting better. Please publish the next one soon! Sara Raasch – I can’t get through a post these days without talking about Snow Like Ashes, but hey, why should I? I’ve been highly enjoying series set in other realms and this one has one where it SNOWS ALL THE TIME. I want to be there, even if it has been destroyed. This debut is fast-paced and interesting and I am impatiently waiting for the next one! Because I couldn’t pick just 10, here are two others to enjoy. Leigh Bardugo – A friend of mine recommended The Grisha series to me and put it off for months before finally getting around to it and I was pretty glad that I did. The style of write flows nicely along, although some of the plot points made me cringe a bit, I’m glad I read some of Bardugo’s work. John Green – While it might seem cliched, I read Paper Towns and The Fault in Our Stars and was pleasantly surprised with Green’s style and humorous insight. It’s not all drab and tears, there is actually quite a bit of humor and life lessons. Not something I could read every day but nice when I’m in the mood for something a little deeper and more touching.